Essential Nature Yoga offer’s classes & workshops with an emphasis on accessible movement & meditation that are inclusive for every body. Emma Lowe is a registered Yoga Teacher with Yoga Alliance USA. Drawing upon her background in the arts, an ever deepening nature based spirituality & her own wild, Celtic heart, Emma weaves teachings from nature based wisdom traditions, story – telling, poetry & song in to her classes for a deeply resonating alchemy for mind body & soul. Wild & Well is a nourishing & restorative workshop specifically tailored for Women’s Wellness. Creative Calm, Prestwich, Saturday 2nd of February:1630 - 830PM. With special guest, body worker Polly Yoga & Massage to share self massage techniques. Investment £20 FULLY BOOKED! 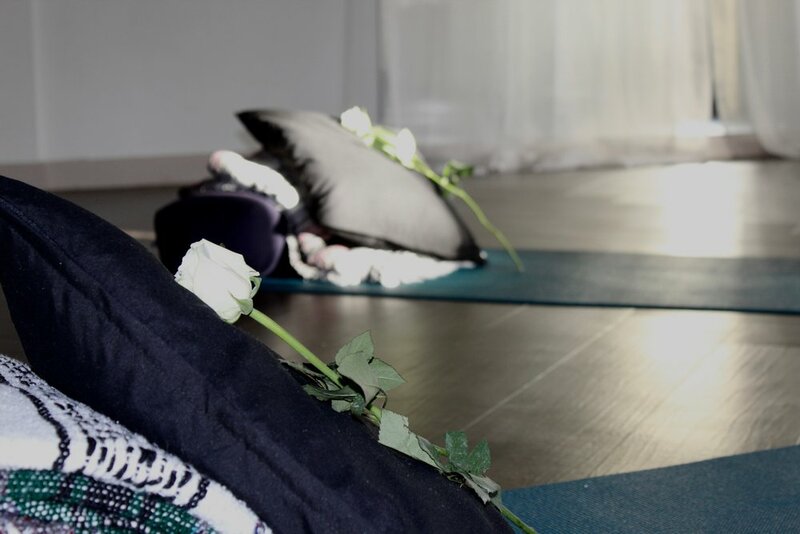 Weaving together empowering education for women in all stages of the menstrual & life cycle, you’ll learn ways to listen to the wisdom of your body & create lasting self care practice to come into harmony on and off the yoga mat. Re-education: Understand the main factors for hormone imbalances & how to naturally come back into full body/mind harmony. Talk on sacred menstruation & the divine feminine, learning how & why to attune to the moon cycles (Space Studio & Belfast workshop only).